Water reflections shall work properly again. Far Cry, once a game considered an example of visual fidelity and de facto a benchmark of then-modern PCs, turns out not to be free of issues. 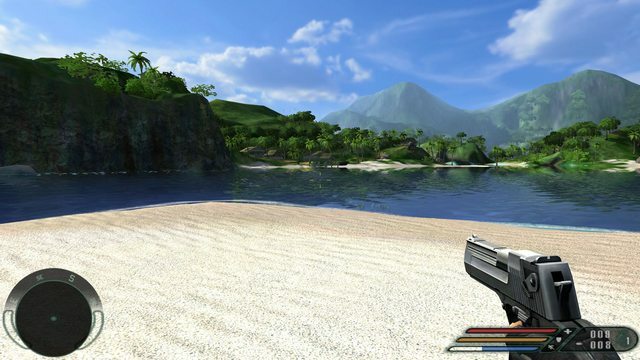 The main reason for creating this patch were broken water reflections - landmass would not reflect on water if the game is played on anything newer than Windows XP. This patch aims to fix this issue without a need for any D3D wrappers. -64bit commandline option has been added - when it’s used, the game will always attempt to launch using a 64-bit executable. This is useful for getting a 64-bit version of the game to work via Steam, as previously it was required to swap files around.